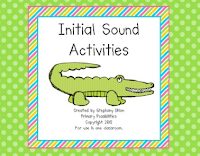 Primary Possibilities: Free & Three (Part Three): Letters, Letter Sounds, and Intial Sounds! 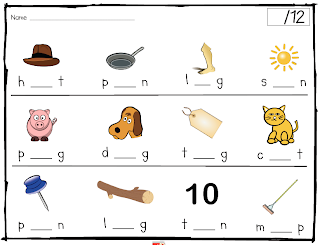 Free & Three (Part Three): Letters, Letter Sounds, and Intial Sounds! It's great reading the comments that have been left on our other Free & Three Posts! It's kind of comforting to hear from teachers who have also been trying to get a grip on the Common Core Standards, Assessing, and Data. Today's Free & Three post is all about Letters, Letter Sounds, and Initial Sounds! 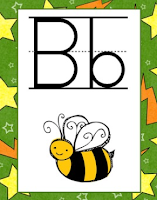 Letter Naming Fluency and Initial Sound Fluency is a big part of the Kindergarten Common Core Standards and many of the First Grade Common Core Standards. We have to concentrate a lot on them because these are DIBELS testing measures in Kindergarten and First Grade. 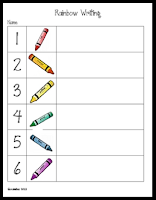 Students have to name a certain number of letters in one minute and tell the initial sounds of words orally in 1 minute. Also, the letter sounds skills carries over into our Nonsense Word Fluency where students have to either say the sounds in the words or say the whole nonsense word. 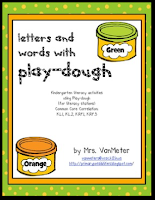 When I taught Kindergarten Literacy Groups in Title-I, I was always looking for fun interventions to use with the kids. It was always a matter of switching up activity to keep the kids interested and engaged. Here are some of our free(!) 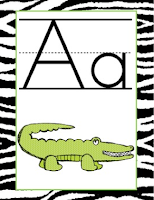 activities that help teach or assess letter naming skills, letter sounds, and initial sounds. Here are some other products from our stores that teach these same skills! As always, we want to hear from you. We will use a random number generator to chose three comments whose author's will get to chose any of the items featured in this post for free! So remember to leave your e-mail in your comment so that we can get in contact with you! 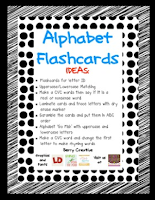 Also, if you have your own activities that teacher letter names, letter sounds, or initial sound skills add your link below! Thank you for the freebies! We just finished DIBELS testing last week. Love the freebies, thanks so much! 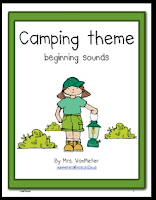 I linked up one of my favorite blog posts about some letter sound activities I do that go with Jack Hartman's song "Learning Letter Sounds." The post also has environmental print freebies. Not necessarily what you are looking for, but, it was in the same post! Thank you for the freebies! Thank you for sharing the freebies:) They will help make assessments easier! Thanks for the great resources. 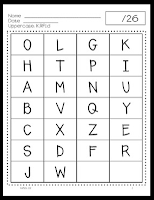 My class this year is struggling with letters this year so these will be great! Thank you SO much for the freebies! We are DIBELS testing next week and these will help immensely when we set up progress monitoring accounts! My kids will love them!